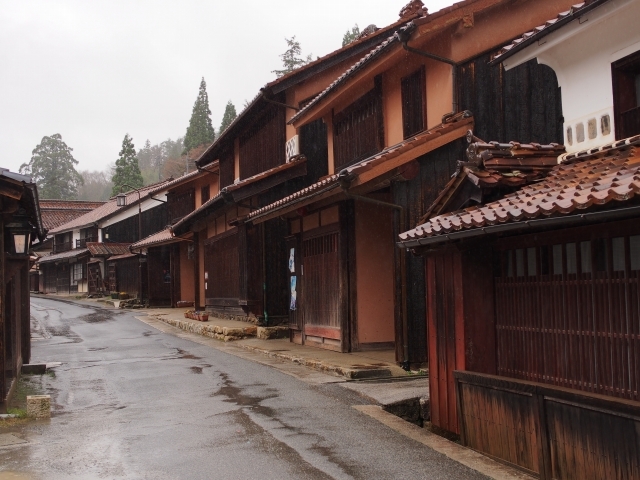 Fukiya Furusato Mura (village) sits in a remote valley ,one hour by bus ( only three buses run a day ) from the nearest railway station (Bitchu-Takahashi), in Okayama Prefecture. 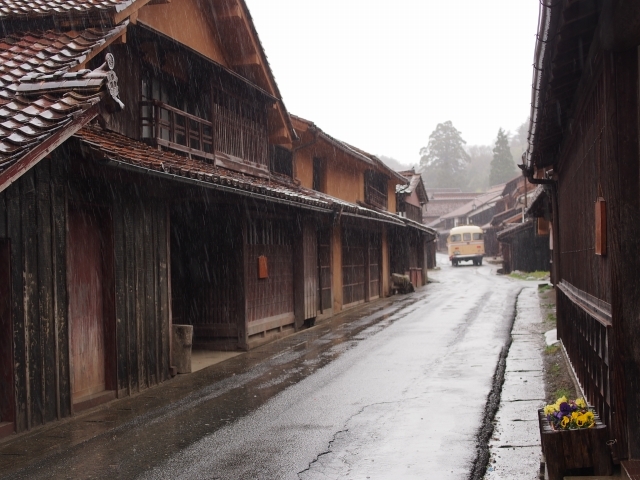 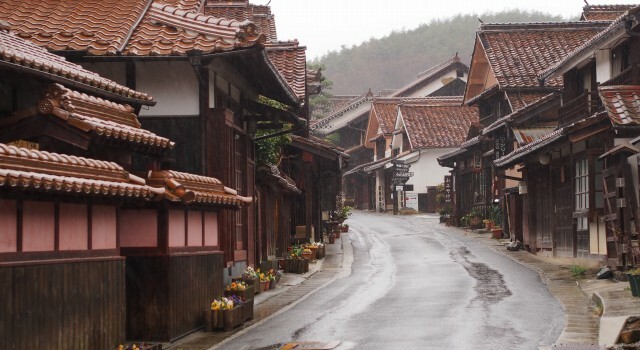 This village was the creation of its old copper mines. 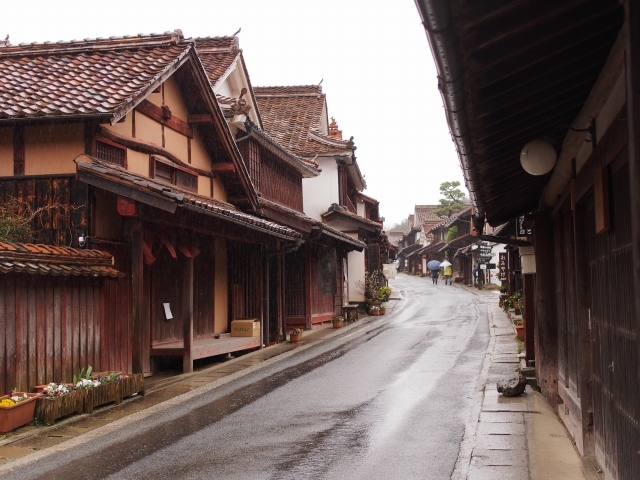 It flourished from1707 to 1960’s. 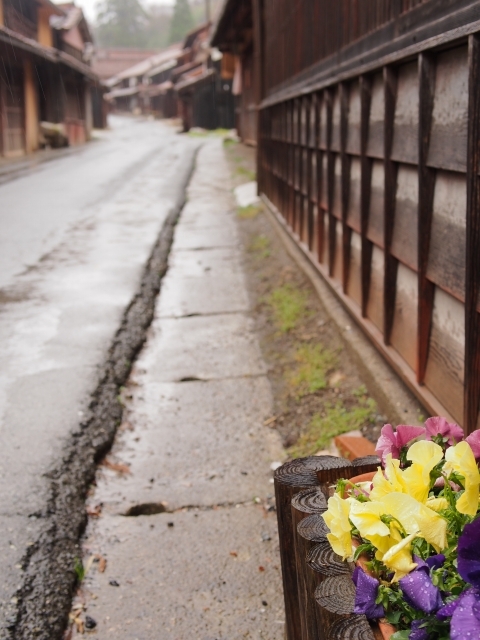 But the mines became absolutely abandoned in 1974,so Fukiya declined due to loss the industry. 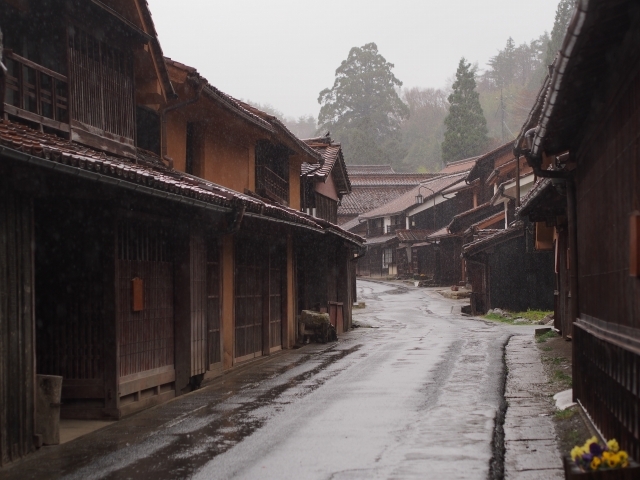 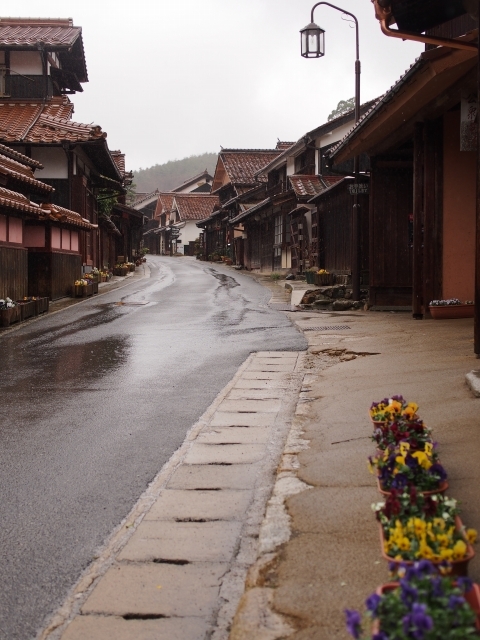 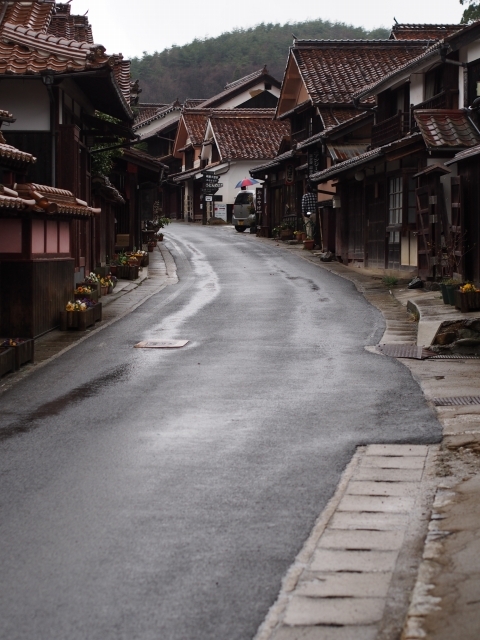 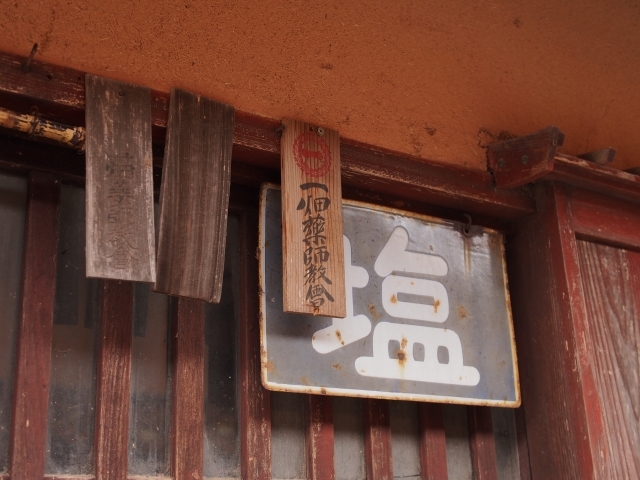 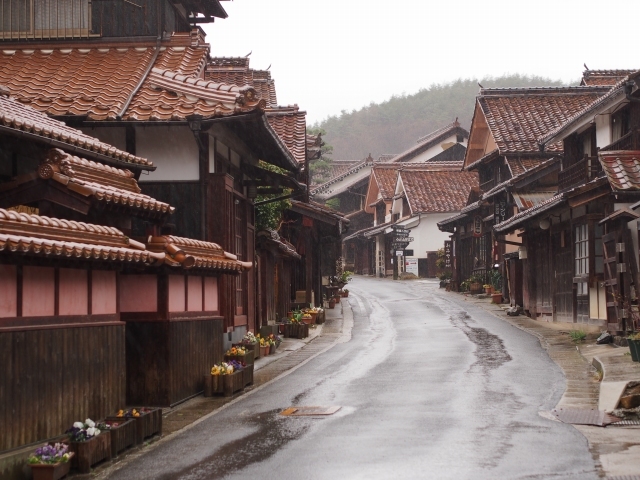 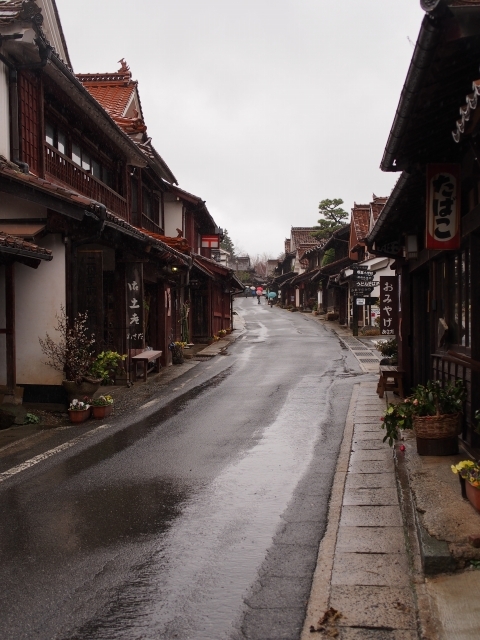 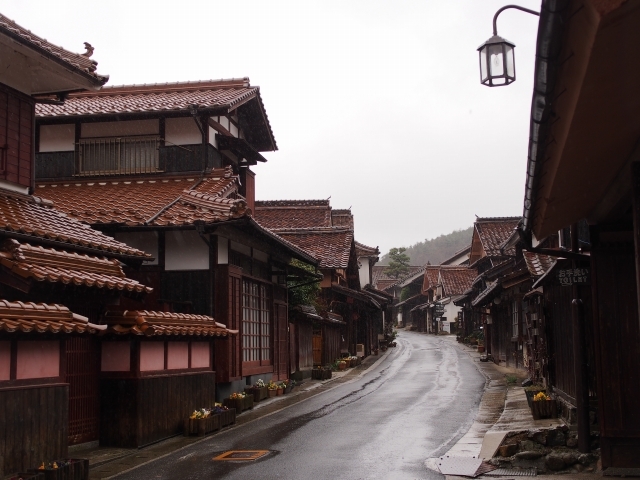 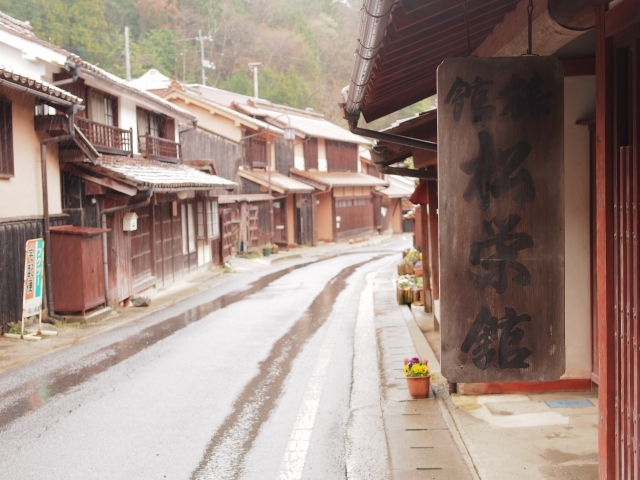 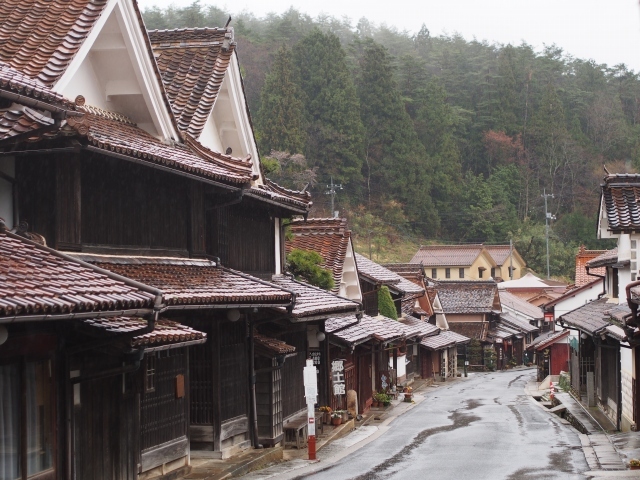 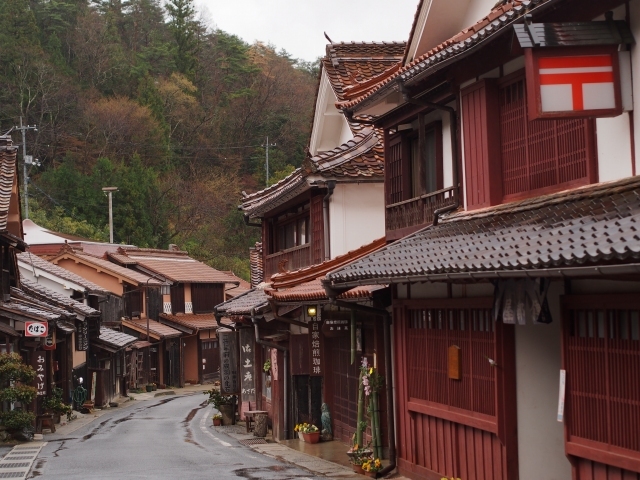 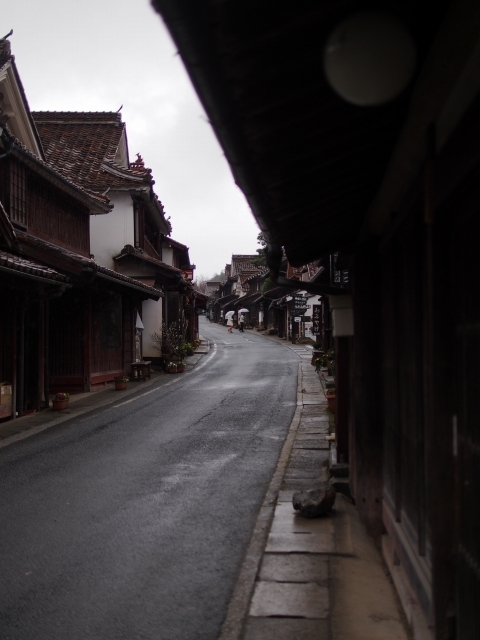 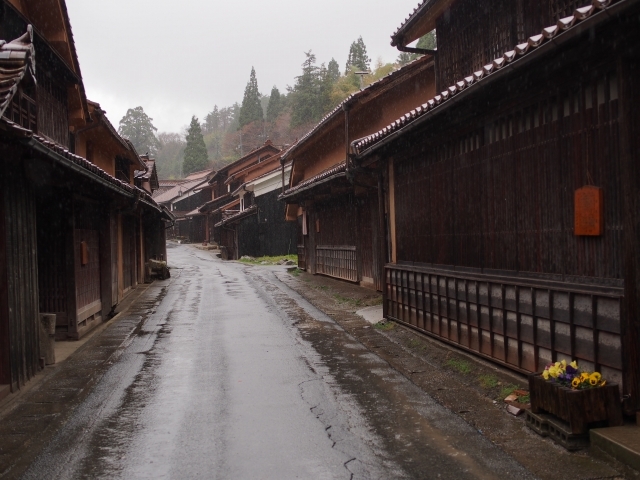 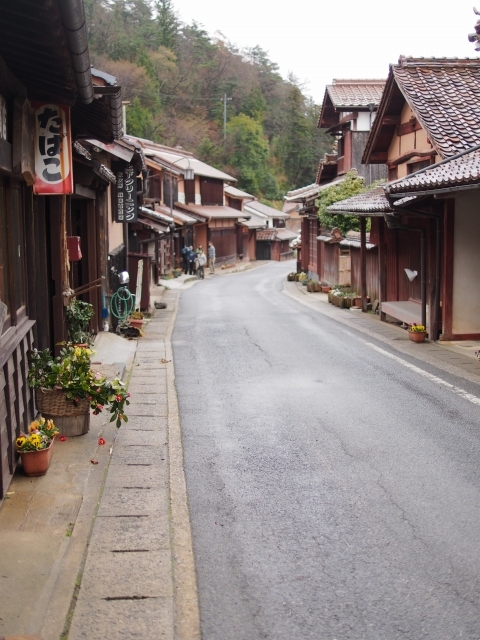 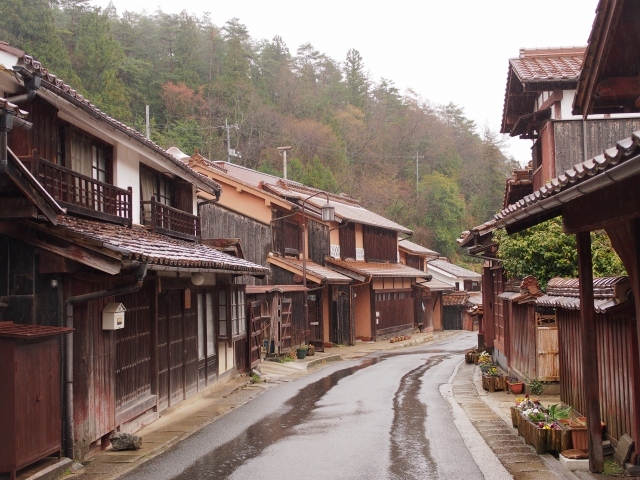 Fukiya retains the appearance and air of a former prosperous village. 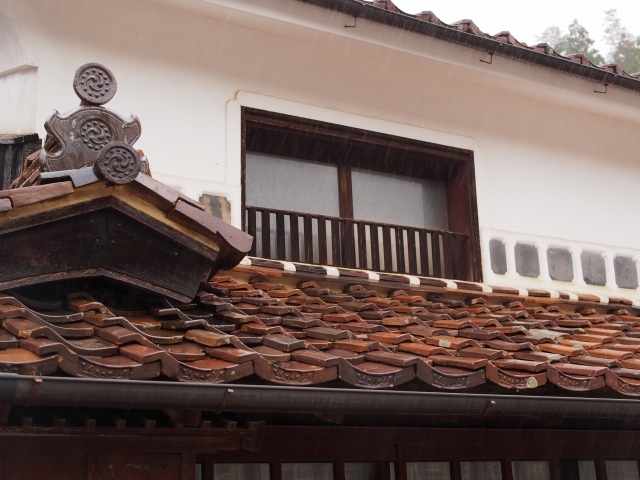 The profits from mining provided lots of affluence for its copper barons to indulge in tasteful refinements to their residences. 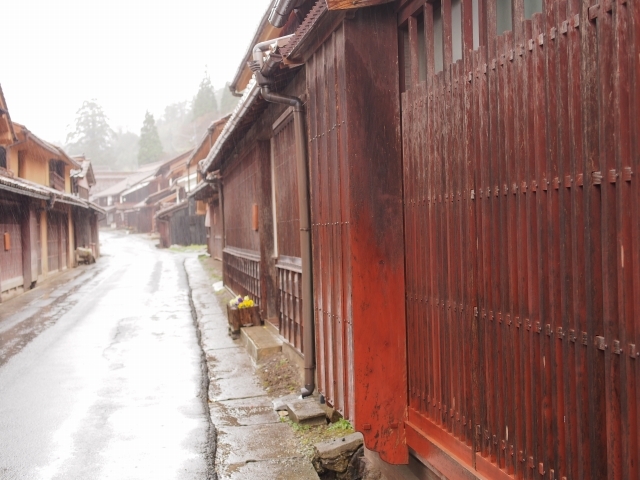 Bengara (red ochre) mineral was used to stain the wooden grillwork of prosperous residencies. 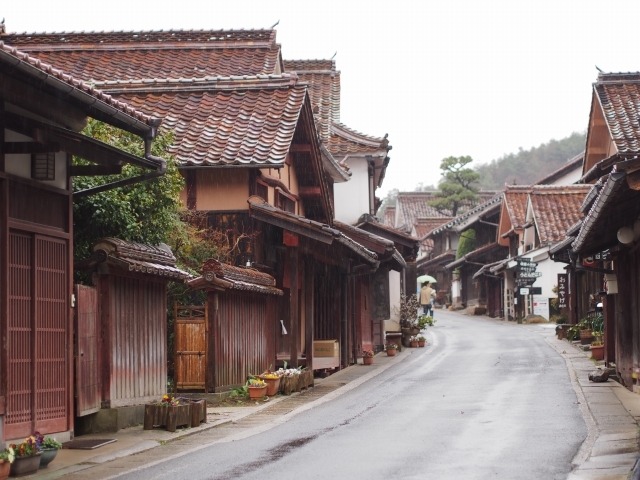 The village was designated as a Preservation District for Groups of Historic Buildings in 1977.